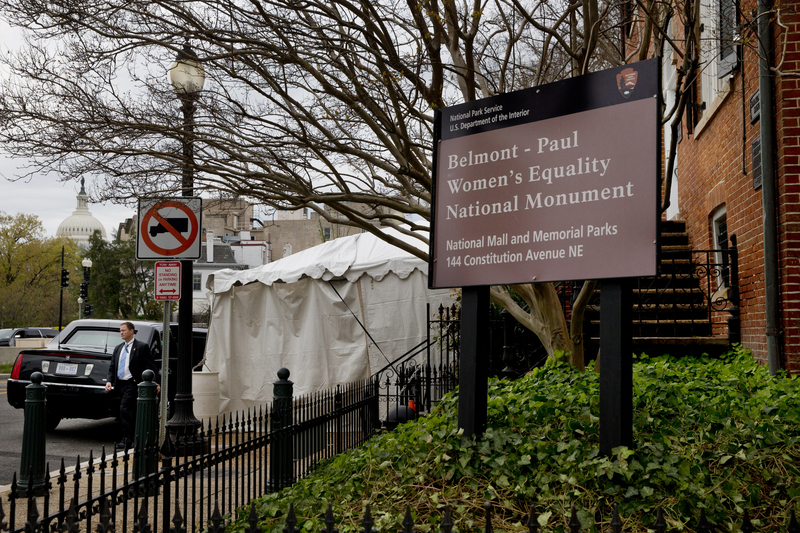 The women’s equality movement received its first national monument on April 12, marking the historic home of the National Woman’s Party for future generations. The newly named Belmont-Paul Women’s Equality National Monument honors party founder Alice Paul and the money behind the movement, Alva Belmont. It was from this little brick house, located just off Capitol Hill, that Paul and the NWP drafted more than 600 pieces of legislation in support of equal rights, including a modified version of the Equal Rights Amendment, which was passed by Congress in 1972, but was ultimately never added to the Constitution. Paul purchased the house in 1929, a few years after women gained the right to vote, and it remained the NWP headquarters until 1997 when the organization turned toward education and converted the house into a museum. The Sewall-Belmont House and Museum preserves the suffragist story and history of the National Woman’s Party through more than 250 artifacts, photographs and documents. But all this history was almost lost in 2014 when Executive Director Page Harrington was forced to make cutbacks to cover a $90,000 mold problem, in addition to the cost of repairs when heavy snowfall in January and February ripped off the gutters.